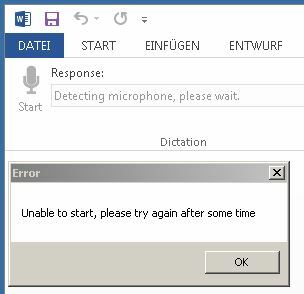 Hier ist das Problem: das neue DICTATE für MS-Office  ab Version 2013 lässt sich nicht starten. Daraufhin wurde nach dem Aktivieren des Microsoft-Kontos der VIRTUAL AGENT angefragt. I’m Microsoft’s new Virtual Agent. I’m still in training and I’d love to help you. You can also ask to talk to a person at any time. Please briefly describe your issue below. „Dear All“! Mit Windows 7 pro 64 bit und Office 2013 32bit gearbeitet: Dennoch gab es keine Möglichkeit die Funktion zu aktivieren. 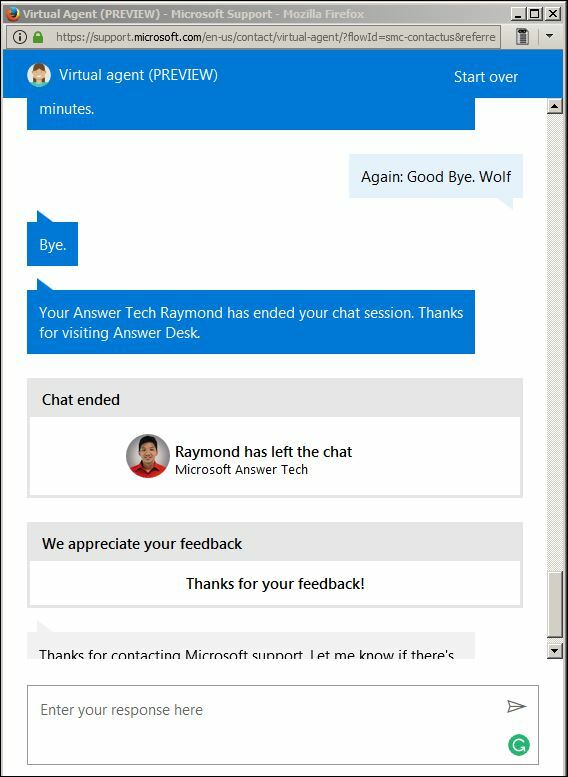 Thanks for contacting Microsoft support, my name is Raymond. Please allow me a few moments while I review the information you provided. Hi, can I talk in German to you or do you prefer English? And I hope you are doing fine today. Before anything else, I would like to ask for your phone number for documentation purposes. Sure not a problem. What is it about? the application is "unable to start". Sorry for the inconvenience Wolf, and thank you for sharing this concern to us. Perfect timing that you’ve reached Microsoft Answer Desk. I’ll do my best to help you resolve your issue. To get started, I want to set your expectation that the issue you’re facing right now is best handled by our dedicated team. However, I really wanted to help you fixing your issue so I will provide some simple troubleshooting steps. But if It’s more complex then I will be more than happy to provide you their phone number to get this issue resolved. Can you try to run it in safe mode? ok. But this is another machine in another room. if you have some problems. Please feel free to contact us again.